A nine-year-old boy and a seven-year-old girl became ice dance partners, and in the boy’s own words, “Something really changed in my life when I started to hold onto the hand of a beautiful little girl.” The boy gave up his early dream of being a professional hockey player, and the girl gave up a spot in a prestigious ballet program—all because even as children, they were committed to each other. The girl was the boy’s first kiss; the boy became the girl’s best friend. As the years went on, they faced highs and lows. She endured painful surgeries to keep skating with him, and while she recovered, he trained with sandbags because he didn’t want another partner. They won Olympic gold in their home country, becoming Canada’s sweethearts in the process, but four years later, they came home with a silver medal instead of the repeat gold they were chasing. They took a couple of years away from the sport, but they couldn’t stay away from the ice—or from each other—for long. As the boy said, being close to the girl was “the whole reason [he] wanted to come back to skating.” They decided to return to the sport they loved with a new mindset and a new focus on telling their own story, on making it “personal” this time around. They fought to choose their own music—music that reminded the boy of the girl whose hand he first held 20 years before. And they fought to become the best once again—to bring home the gold medal that eluded them in 2014. They faced tough competition, and despite winning a gold medal with their teammates, they needed to have the skates of their lives to win individual gold. They began with a world record, but their fiercest rivals set the bar high with one of their own. Stepping onto the ice as Olympic competitors for the last time, they knew they had to do something magical in order to win. But instead of waiting for a fairy godmother, they created their own magic—the boy singing their song to the girl as they danced across the ice, capturing the hearts of everyone in the crowd, captivating the world, and catapulting themselves to the top of the standings and the medal podium. Or so we all hope, right? I love the Olympics. I’ve loved them since I was an 8-year-old girl fawning over the Magnificent Seven in Atlanta. And while the Summer Olympics still captivate me every four years, I obsess over few things like I obsess over the Winter Olympics. I can remember the exact moment I lost my heart to the Winter Games: It was 2002, and I was watching Jamie Salé and David Pelletier skate their “Love Story” pairs free skate. They made 13-year-old me cry, and, as most of you know, if you can make me cry, I will feel an emotional attachment to you forever. Figure skating (every kind of it) makes me cry. Hockey makes me cry. A particularly great bobsled run makes me cry. Maybe I’m just more emotional during the winter months, but few things on Earth get the waterworks going for me like the Winter Olympics. The Olympics are special because they showcase what sports can be—unifying, compelling, surprising, and about so much more than who puts the puck in the net or lands their triple Axel. The Olympics are about people—real people with real stories, real sacrifices, and real lessons to teach all of us watching about the ways to handle both incredible success and unfathomable failure. Today I want to take a moment to look back on the 2014 Winter Games in a way that celebrates what I’ve always believed about the Olympics: They’re about the stories. 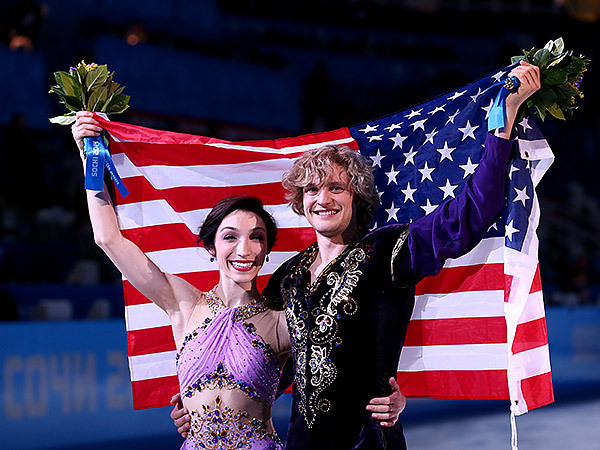 We may not always remember who won gold, but we remember who made us feel and who taught us something more than just the rules of curling or the correct way to execute an ice dance twizzle. Without future ado, here are seven valuable life lessons put into practice by the athletes of these Winter Games. Maxim Trankov and Tatiana Volosozhar were two of Russia’s biggest stars at these Olympics. As an American girl whose favorite sports movie is Miracle, it shouldn’t surprise anyone that I wanted our U.S. teams to beat their Russian counterparts whenever we had the chance. However, I’d be lying if I said I wasn’t moved to tears more than once by a Russian winning a gold medal in Sochi. There’s an undeniable bond between a person and the place they call home. That bond was on display when pairs skaters Maxim Trankov and Tatiana Volosozhar reacted with an overflowing of emotions in the face of the crowd’s jubilant response to their gold-medal-winning performance. And it was there when Adelina Sotnikova became the first Russian to win gold in women’s figure skating, finding strength and overwhelming joy in the cheers of her fellow Russians. Those moments reminded me that we all carry the places we’ve called home with us, even if most of us will never play for our country in the Olympics. 2. A little kindness goes a long way. This may be the most popular photograph to come out of these Olympics. Years from now, will I remember Gus Kenworthy for his silver-medal performance in men’s slopestyle skiing? Maybe not. But I will remember Kenworthy as the skier who saw the plight of stray dogs in Sochi and did something to help those animals. 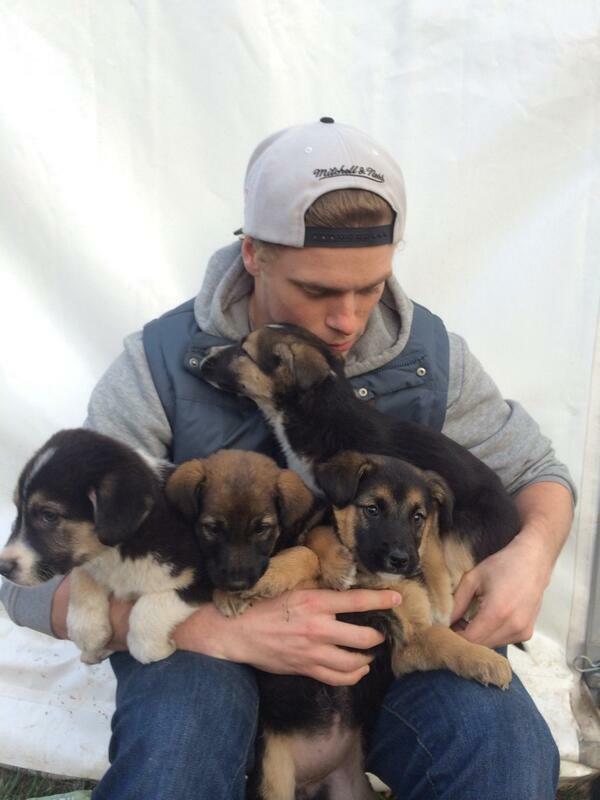 By taking home a group of stray puppies (and their mother) and finding good homes for them back in the U.S., Kenworthy became a star of the Sochi Games for far more than just his performance on the slopestyle course. Kenworthy’s act of kindness made him a household name, proving that sometimes success is measured more by the things you do to help the people (and animals) around you than by professional achievements. With the Winter Olympics in full swing, there weren’t a lot of new TV episodes to contend with the hours of sports coverage airing from now until the end of next week. 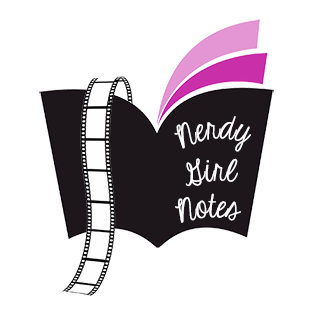 Tuesday was the only night to feature new episodes of shows I watch, and both of them were entertaining. New Girl introduced us to Jess’s sister, and Brooklyn Nine-Nine introduced us to the concept of going “full-Boyle” and the organization AAGLNYCPA. The real star of the television landscape this week was the Olympics. From T.J. Oshie’s incredible shootout performance in the U.S. hockey team’s victory over Russia to the U.S. slopestyle ski team earning a medal sweep, there were some excellent winning moments for Team USA this week. And Maxim Trankov and Tatiana Volosozhar’s euphoric reaction to winning gold in pairs figure skating on their home ice was a gold medal moment I won’t soon forget. My favorite moment of the week, however, wasn’t one that led to a gold medal. In fact, it didn’t lead to a medal at all. When Jeremy Abbott took a brutal fall during the men’s figure skating short program, I thought he was going to have to quit. But not only did he keep skating, he finished his program with skill, style, and a huge smile on his face. That emotional performance was followed by a free skate that was truly beautiful. Abbott may not have won a medal in Sochi, but he gave us what was perhaps the most inspiring moment of the games so far. He reminded everyone that true strength comes not from doing something perfectly but from getting back up after you fall down. I might not remember who won gold in the event years from now, but I will always remember what Abbott did at these Olympics. Because the official NBC website doesn’t like to make embedding Olympic videos easy, here’s a recap of Abbott’s short program skate. And here’s his free skate.